Gov. 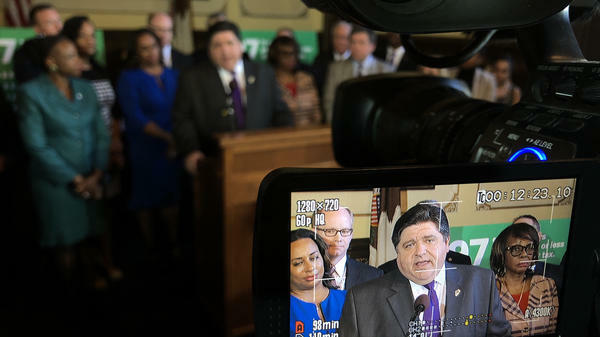 J.B. Pritzker, surrounded by Democratic lawmakers, spoke with reporters after the formal introduction of the constitutional amendment needed to advance his graduated income tax proposal. 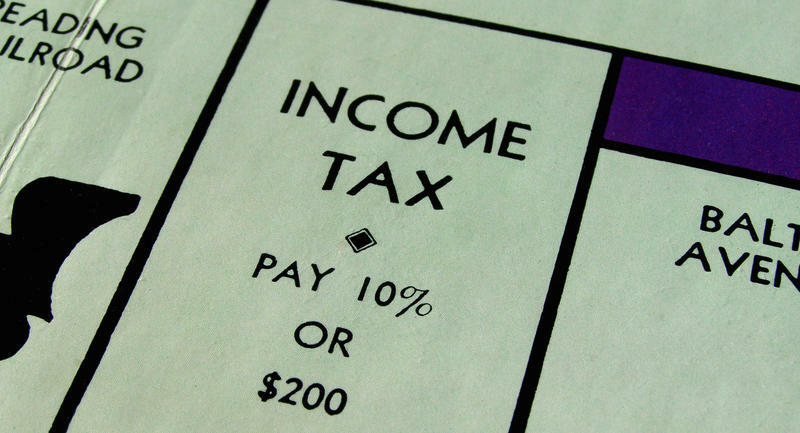 It would eliminate the requirement for a flat income tax, which would in turn let the General Assembly impose higher tax rates on people who make more money, and lower tax rates on people who make less. Changing the state constitution is a two-step process. First the General Assembly must approve a ballot question. Then voters get to decide whether to ratify it or reject it. Democrats are aiming to have that question on the ballot at the next general election in November 2020. Republicans say they remain opposed to eliminating the flat tax. They’ve refused to negotiate, saying Democrats cannot be trusted with the broader taxing power they’re seeking. “I heard a comment earlier that those who oppose this are only looking to maintain the unfair status quo,” House Republican Leader Jim Durkin said after Pritzker’s news conference. “We’re trying to change the status quo. The unfair status quo is what’s happened to Illinois taxpayers by the same Democrats who run these chambers (and) who’ve passed massive tax increases in the last 10 years, based on the premise that we would pay our bills and get Illinois fixed. It never happened,” Durkin said. Pritzker says his doors remain open to anyone who wants to negotiate on the graduated income tax — including Repuiblicans. “They haven’t proposed to you how they’re actually going to overcome the budget deficit of the state or how they’re going to pay the bills of this state. They’re just demagoguing this issue,” Pritzker said. The measure — formally known as Senate Joint Resolution Constitutional Amendment 1 — is scheduled to be considered Wednesday morning in the Senate Executive Committee. Despite recent hype over the possibility of legislators putting questions on the November ballot to change the constitution, the Illinois House adjourned Wednesday without even voting on proposed amendments. Their lack of action means voters won't be asked whether they want to change how they're taxed.